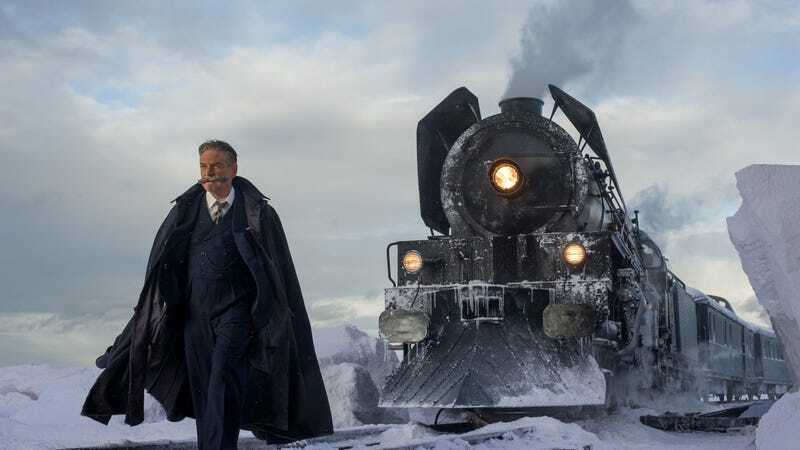 Shot on 65mm, the new adaptation of Agatha Christie’s classic Murder On The Orient Express is diverting and glitzy; one should expect no less from a locked-room mystery set on board a luxury train in the mid-1930s. But suspense remains a foreign concept for actor-director Kenneth Branagh. His erratic direction—more interested in cut glass and overhead shots than in suspicions and uncertainties—bungles both the perfect puzzle logic of the crime and its devious solution. Branagh himself takes on the role of Christie’s Belgian sleuth, Hercule Poirot, turning the feline, diminutive Art Deco dandy into a cranky, huffing-and-puffing eccentric, his famous twirled whiskers reimagined as an extra-large grey mustache. (Christie fans will probably take issue with both the characterization and the facial hair; the two are closely related.) Called back from an overdue vacation in Istanbul, the “greatest detective in the world” snatches a last-minute ticket for the decadent Orient Express with the help of his dissolute buddy Bouc (Tom Bateman), and thus finds himself sharing a dining car with a multi-national assortment of first- and second-class passengers. There’s the scowling Russian exile Princess Dragomiroff (Judi Dench) and her maid, Hildegarde (Olivia Colman); Ratchett (Johnny Depp), an American antiques dealer with a gangster’s looks and manners, accompanied by his English valet, Masterman (Derek Jacobi), and his alcoholic secretary, MacQueen (Josh Gad); Dr. Arbuthnot (Broadway star Leslie Odom Jr.) and Miss Debenham (Daisy Ridley), both doing a bad job of hiding the fact that they’re a couple; the Count and Countess Andrenyi (Sergei Polunin and Lucy Boynton), drug-addicted aristocrats with diplomatic passports; Hardman (Willem Dafoe), a prissy, racist Austrian scientist; Miss Estravados (Penélope Cruz), a missionary who seems to disapprove of everything she sees; the car salesman Marquez (Manuel García-Rulfo); and the cougar-ish divorcée Mrs. Hubbard (Michelle Pfeiffer). After the train rams into a snowdrift somewhere in present-day Croatia, one of the passengers is found stabbed to death in a locked cabin, leading Poirot to, well, do his thing. The clues: an open window (in a snowstorm, no less); a threatening letter; a pipe cleaner; a handkerchief embroidered with an “H”; a broken watch; a sleeping car full of suspects. Scripted by Michael Green, who co-wrote this year’s Logan and Blade Runner 2049, the film intentionally subverts the racism, anti-Semitism, and classism that had a way of showing up like uninvited but cherished relatives in Christie’s fiction, adding a few twists, motives, and red herrings to the source material’s machinery. (Less interesting is a lost-love backstory invented for Poirot.) The cast is fine; Dafoe and Pfeiffer seem to be having the most fun with their broadly drawn roles, and even Branagh’s melodramatic Poirot has his charms. 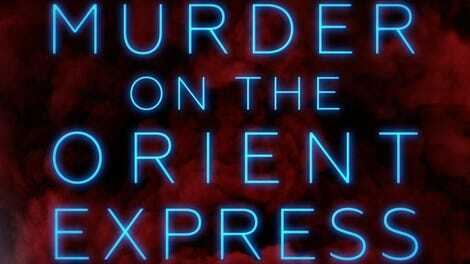 But considering that there’s already a fun film adaptation of Murder On The Orient Express—the 1974 version directed by Sidney Lumet, with an improbable ensemble of stars—the new film doesn’t offer enough to justify its existence. Simply put, Branagh lacks a feeling for the vicarious pleasure we get from mysteries, clues, solutions, and the improbable brilliance of detective characters. His long, impassive tracking shots traverse the Orient Express to show off the film’s expensive production design, the camera acting like a docent guiding a tour, but the spatial relationships of the cars and cabins remain confusingly vague; elsewhere, baffling directorial decisions and pointlessly alluring close-ups turn plot points into plot holes. It would take a real artist to draw something more from the plot of Murder On The Orient Express than the thrill of watching a Rube Goldberg machine at work—and Branagh can’t even get that right.